There are countless benefits to planning a kitchen extension, so much so, that it’s easy to see why so many of our customers ask our kitchen designers to have it done. Not only could you have an additional, improved cooking space, but it makes an even better area in which to entertain, socialise and enjoy the food you’ve made. It’s all part and parcel of why open plan living is so popular these days. Gone are the moments of sweating over a hot stove while shut away in a kitchen, seemingly miles from the rest of the house. Now cooking and entertaining go hand in hand and the kitchen has become an area to enjoy, somewhere which can only add to your modern lifestyle, in all the best ways. Having a kitchen extension is also the chance to revamp and redesign your kitchen, to make it bang up to date, more appealing and user-friendly. So, when you’re planning a kitchen extension, think about its purpose and plan well in advance – this way you’ll avoid any mistakes or additional costs further down the line. Firstly, set yourself a budget and then, moving forward, make sure that everything that you want done, including electrics, plumbing, decorating, new appliances, flooring, tiling, etc is all covered within that budget. Then ask yourself the purpose of your extension. Do you, for instance, want a better place to cook, or more up to date facilities? How often will it be used and will it suit the changing dynamics of your family for years to come? 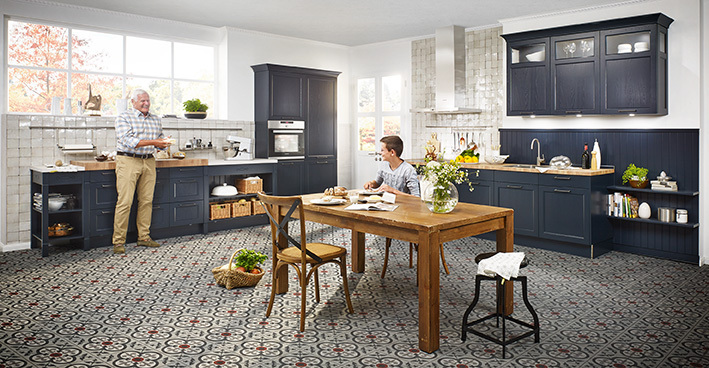 Are you adding a dining area, in which case is there going to be space for the whole family, are you looking at adding value to your home, or do you just want friends and family to be able to join you for a cuppa there? Then, once you’ve thought about your budget and the purpose of your extension, find out some of the vital things, such as whether knocking through a stud wall is a viable option – you might need to get the advice of a structural engineer here. And remember to check with your local planning officer whether planning permission is required and whether special consideration should be given, such as with a listed building. Will there be additional space to move around in? Will you add more storage space? Larger work areas – would there be room to install an island? Improved appliances – what would you like included? Consider bespoke lighting designed to suit the specific areas of the kitchen. Optimisation of natural light – are skylights or bi-fold doors which look out into the garden an option? Our kitchen designers are hugely experienced in creating a whole range of stunning kitchen extensions. If you want to find out what options are available to you and would like to see your dreams become a reality, choose Dewhirst Kitchens for kitchen design and contact us today.